Lanier University, established in 1917 and named for Sidney H. Lanier, was founded by its first president, Charles Lewis Fowler, a Baptist educator-minister. Fowler believed that Atlanta and the South needed an “All Southern” Baptist University. It was because of this conviction that Fowler resigned his presidential position at Cox College, a women’s school in College Park, Georgia, to devote his efforts to his convictions. In developing the new college, Fowler hoped to secure financial support from his personal acquaintance with the Coca-Cola baron, Asa G. Candler. An alternative for financial security was the Georgia Baptist Association. However, Fowler had to convince the Baptists and the general public that the school filled a need and its mission differed significantly from other Baptist colleges in the state. This matter was resolved when it was established that Lanier would become the state’s only co-educational Baptist institution. The Christian Index on June 28, 1917, reported however, that Lanier University would be “recognized as a Baptist Institution” but was not “organically” connected. The reality of Lanier University came closer when Fowler gained the legal recognition of the state through the usual articles of incorporation. However, the Fulton County Court in Atlanta issued a very unusual, liberal charter. The charter not only recognized the college’s request that the Board of Trustees be composed of members of Missionary Baptist Churches, it granted Fowler and his associates the unusual privilege to conduct public bond sales and to secure the bonds with college property. Preparations began for opening the school in the fall of 1917, and since property had not been secured, space was rented on Peachtree Street. Lanier gained the enthusiasm of the local press, Atlanta’s elite, and the Baptist establishment. When the doors opened in the fall of 1917, enrollment totaled over 140. This figure was impressive when compared to the older established Atlanta colleges whose enrollments were rarely more than several hundred. 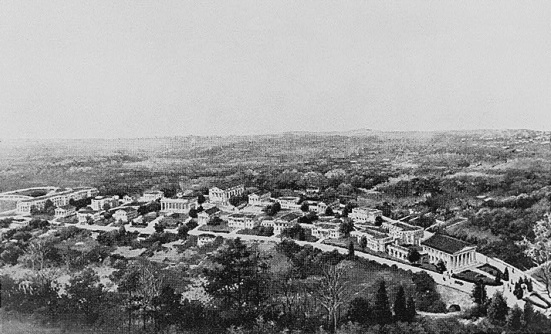 The academic year 1917-18 proved to be eventful: degrees were conferred on its first 16 graduates; 176 students had registered; 56 acres had been donated and $1 million would be spent on a new campus, connected to Atlanta’s other colleges by a new highway, University Drive. In 1920, the financial stability of the university became questionable. The special privilege in Lanier’s charter was exercised, and public bond sales were made to raise $50,000. The bonds were secured by three acres of college property, including Arlington Hall, the mortgages of two other structures yet to be built on the campus, and a life insurance policy on Fowler. As time passed, all of the announcements of land gifts and bequests of the preceding three years were now questionable; Lanier University did not own a 56-acre campus, only 3 acres. Lanier University, hit by the recession and a declining enrollment, began to collapse financially. In 1921, it was announced that Lanier would be unable to continue without outside financial relief. It was announced on September 10, 1921 that the Knights of the Ku Klux Klan had acquired Lanier University. According to the Klan, Lanier would henceforth be devoted to the teaching of the principles of “100% Americanism”, and that “Colonel” William J. Simmons, founder and Imperial Wizard of the revived organization, would become president of the university. The secretary and business manager would be Nathan Bedford Forrest, grandson of the founder of the original Klan. The purchase agreement had three conditions: a new election of trustees; the college would be nonsectarian; Colonel Simmons would be elected president. Simmons had been a special lecturer in Southern history at Lanier prior to the Klan’s purchase. There were little significant changes after the sale, the only being the composition of the Board of Trustees. That body now included the hierarchy of the national Klan. Lanier would enroll sons and daughters of non-Klan members so long as they were “real Americans,” and only two courses were mandatory: one dealing with the Constitution and another with the Bible. Preparations to build a lake were stated, and various construction projects began on campus, including an athletic field. However, a damper was placed on expectations when fewer than 25 students arrived for registration. 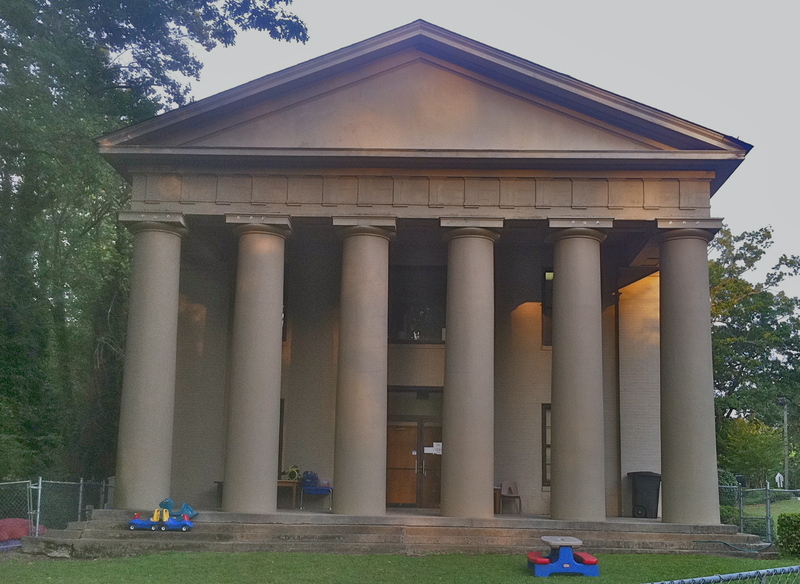 The financial burden the school placed on the Klan caused it to abandon its idea of a Klan college in Atlanta. In August 1922, bankruptcy proceedings commenced. This marked the end to William Simmons’ dream of a “real American” college, and Charles Lewis Fowler’s dream of an “All Southern” university. Lanier University was developed from a real romance of the Old South. Its most outstanding aspect was the enthusiastic response and support that middle- and upper-class Atlantans gave this “All Southern” college. Although there were individuals who expressed reservations about the school and its Klan affiliations, no public discussions ever occurred. Lanier University proved at the time that the enthusiasm for the principles of 100% Americanism extended well beyond the walls of the Klan. 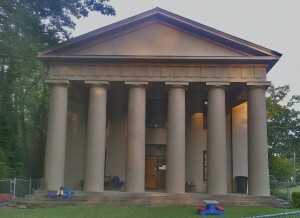 The Atlanta Hebrew Academy renovated the building and used it for a “Day School” until 1961. Shearith Israel now had the space to move their own educational classes back into the Lanier University building. This entry was posted in news and tagged 1917, 1981, history, morningside by Kay Stephenson. Bookmark the permalink.